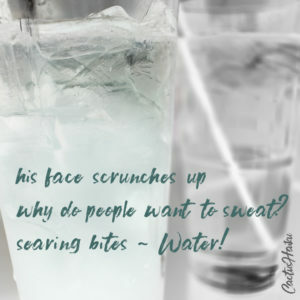 why do people want to sweat? This is Arizona. 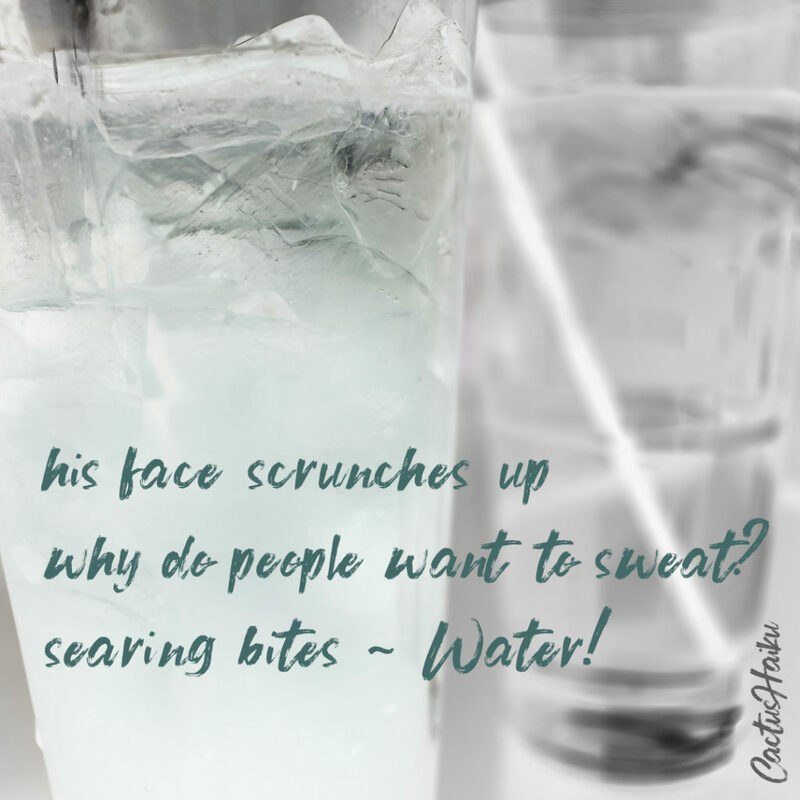 Some like tears-streaming, croaking-voice, sweat-pouring spicy food. Not me. I like heat in my food but not the burning inferno of Dante. Out of curiousity, how do you like your food? A) Mild? B) Hot enough to make you perk up and notice? C) The flames of hell? Speaking of changing, I did a photo manipulation of my photograph. 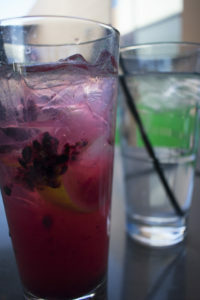 The original was a blackberry lemonade at Zin’s I posted on Cactus Catz May 2018. I also put this senryu up on Instagram today @cactus_haiku if you’re into IG. You can use the Amazon search bar to do any search at Amazon like I did with “spicy”. Thank you! I do too. But I find it hard to judge my own stuff. Mild…mild everything from salsa to wings to chili. What can I say, I’m a bore in the spicy food category! I can relate. A little spicy is good. I don’t think my mouth should feel pain from food. Although biting into something unexpectedly spicy like really fresh wasabi sure cleans the sinuses. I thought you might like things a bit spicy from a couple of your food posts. Thanks for the feedback on which version was better. I appreciate it.